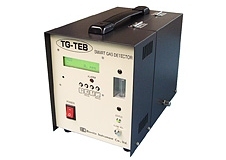 The Bionics TG-TEB Series Semi Portable Gas Detectors is a comprehensive detector that meets the diverse requirements for gas detections industries throughout the world. The fail safe sensor technology is immune to poisoning, no damage by over-gassing and does not need oxygen to work. It's a ideal solution where a temporarily detection is required, such as laboratories, chemical plants, semiconductor fabrication and many more. 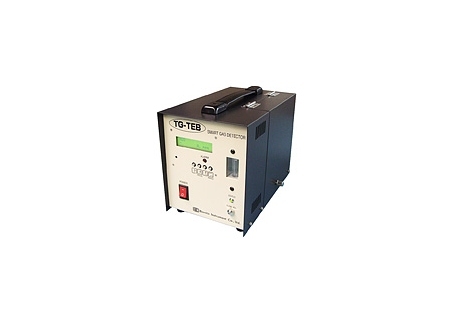 The unit can operate continuously and has onboard alarms and optional battery back-up. Either standard or in an IP55 enclosure for humid and dirty environments, all units comply with the most stringent quality standards and are extremely reliable. With the integrated self diagnostics functions you are quickly notified on any possible disruption.